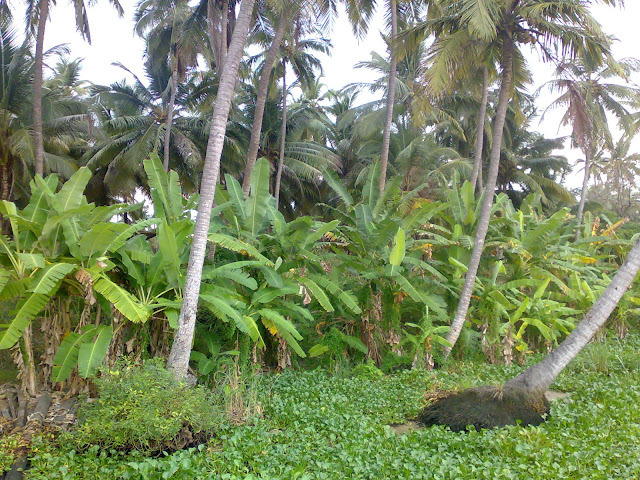 Nothing gets better than the luscious, green, young coconut right from the tree. The water inside is bursting with life itself and the meat, so moist and tender, is as close to a liquid an edible thing can be. 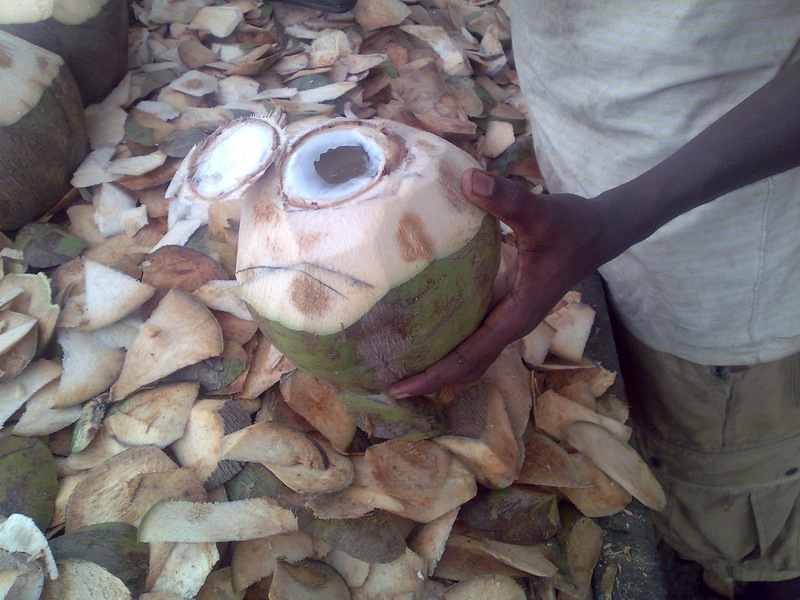 At Agaja beach in Lagos, Nigeria, you can get them just picked and opened especially for you by a machete-wielding, tree-climbing, young man. to the final splitting of the empty nut to reveal its delectable vegan flesh! 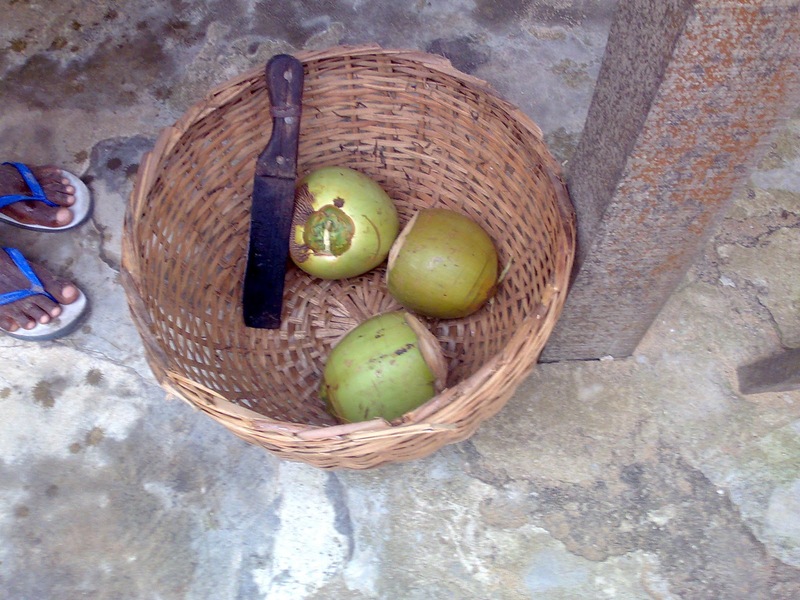 Oh, the joys of fresh coconuts! 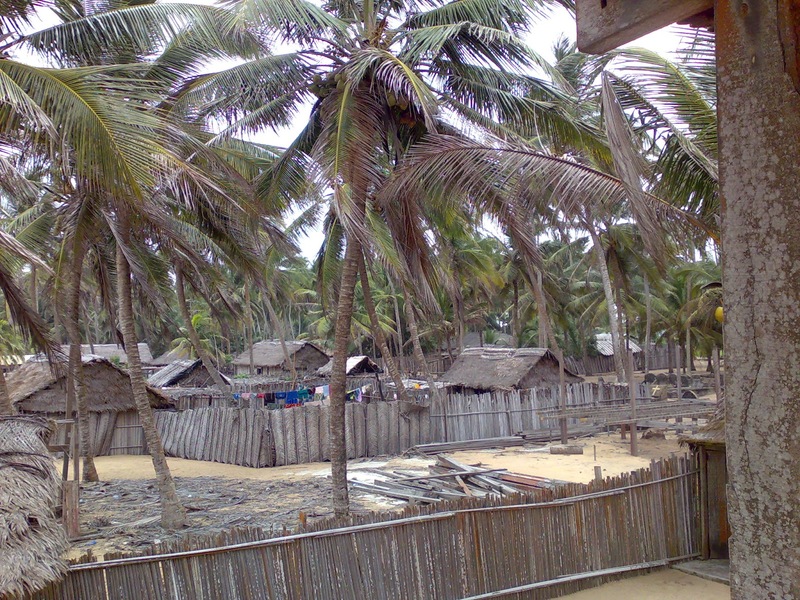 In Accra, the machete-wielding entrepreneurs bring to the city what you have to journey to the beach for in Lagos! 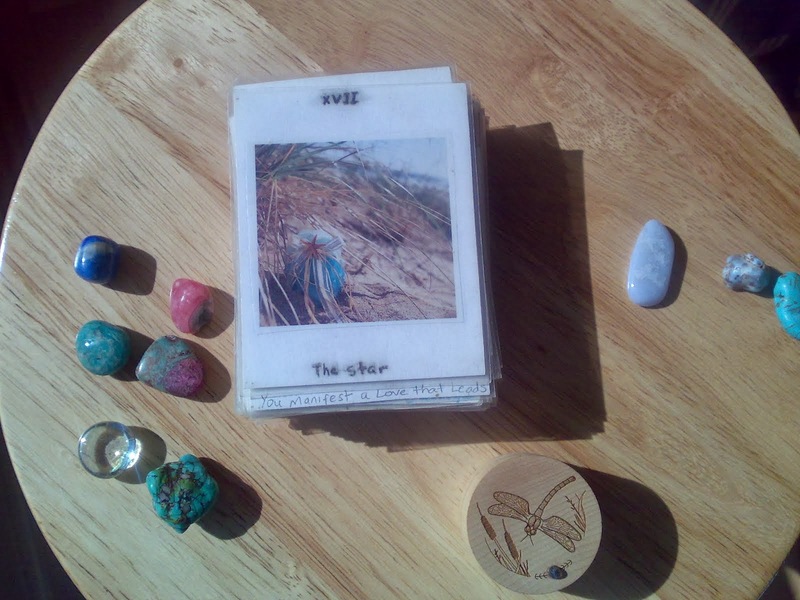 And, as you can see from the leftovers, I am not the only one who is in love with these incredible, all-natural, living-water filled gems! Here, coconuts are at your beckon call. You can have them any time you want them, day or night, whether or not you have beach access. 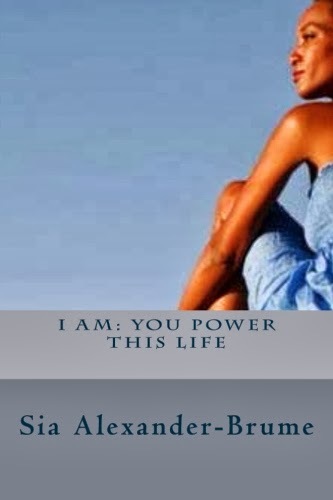 Did I mention, I love Accra! They even come in two varieties here, hard and soft. 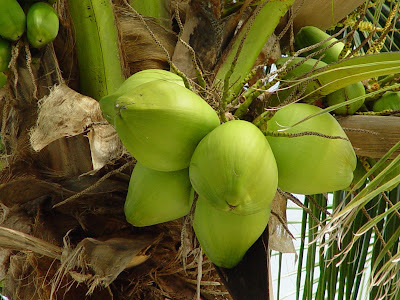 The longer the young coconut has been on the tree, the harder the flesh becomes. So, there you have it, coconuts in a nutshell! ;-) Ok, seriously, now. 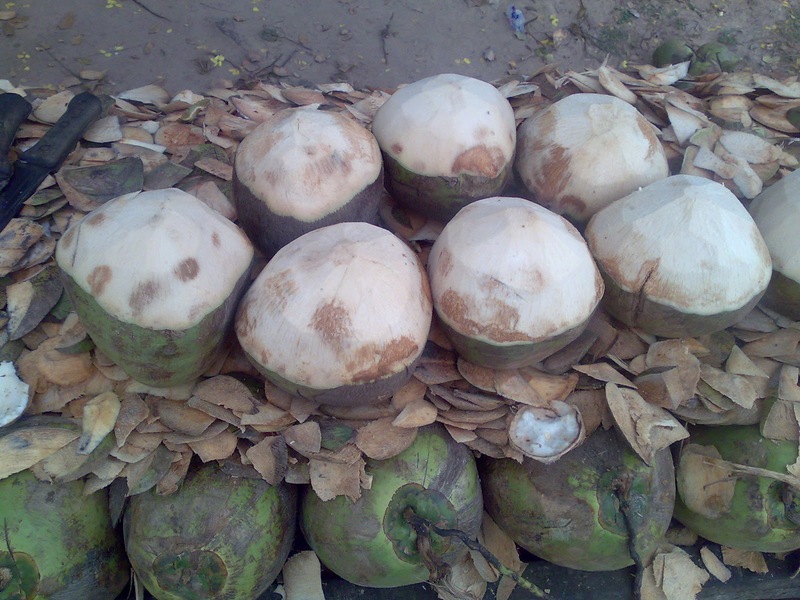 If, sadly, you find yourself in Lagos without a boat and are craving the living water, never fear; you can always get a mature coconut, the kind that has fallen off the tree of its own accord. These are far denser, with less water, but still quite amazingly good. 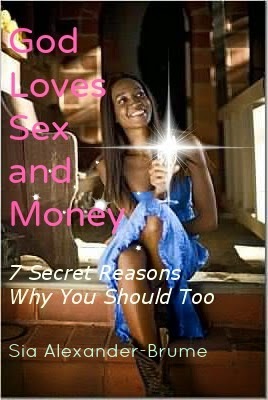 Check out this valentine's day worthy one, which I wacked open myself by banging it skillfully on the deck floor. 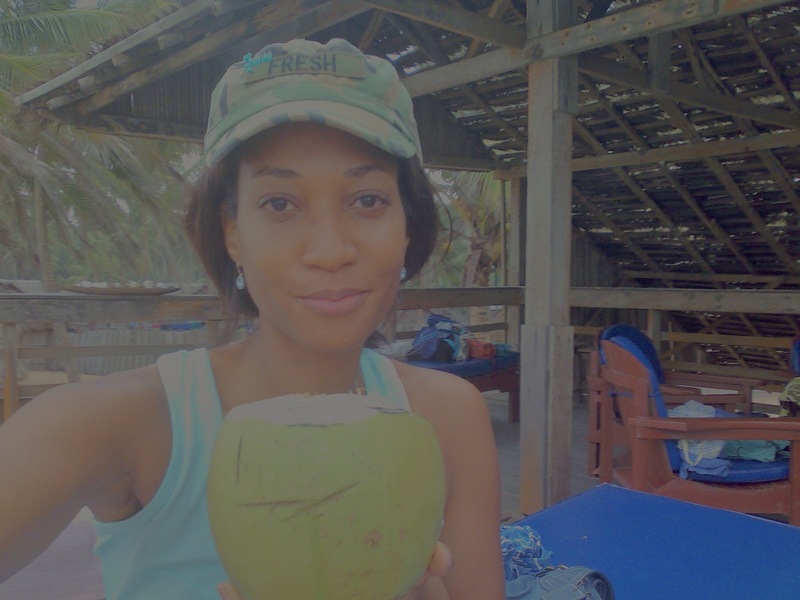 If all else fails and you, coconut lover, find yourself in the U.S. or somewhere far, far from the tropics, you do still have options. 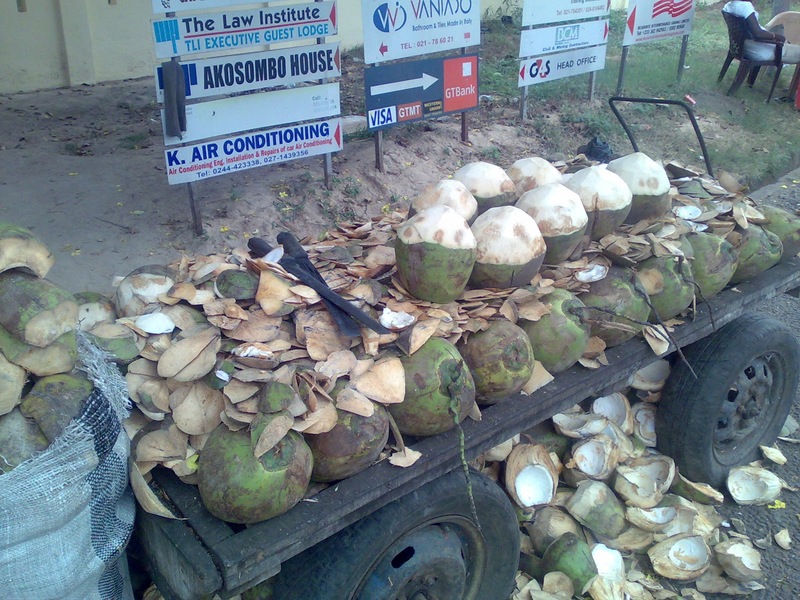 Yes, there are coconuts here; but they are rarely fresh, frequently stale and often dry. 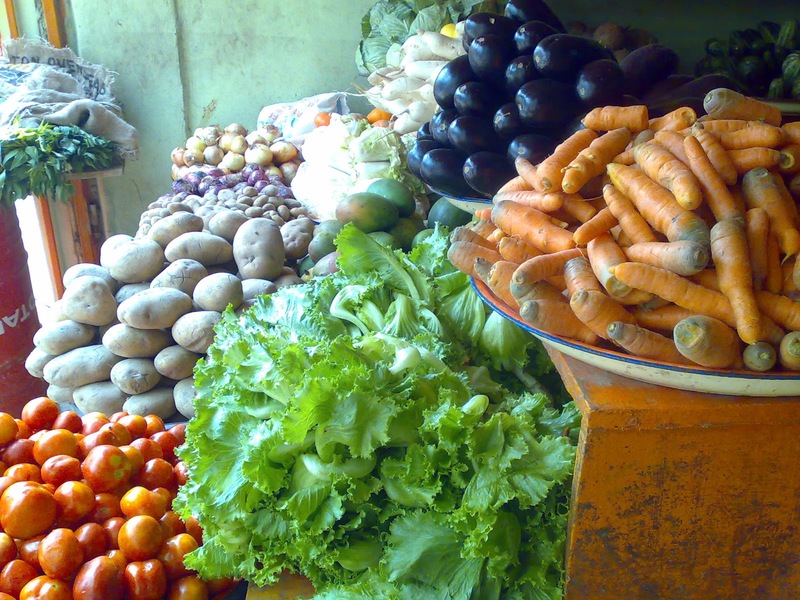 The few organic, good ones are flown in for the raw foodies and always priced exorbitantly, if not sold out. So, this is what you can do. 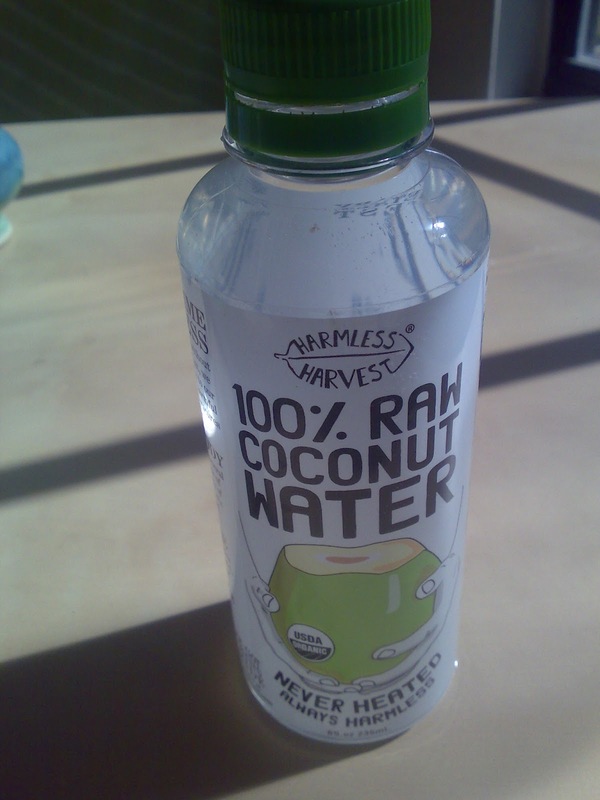 Drink Harmless Harvest 100% Raw Coconut Water, which is as close as you're going to get to the real deal. It's delicious! 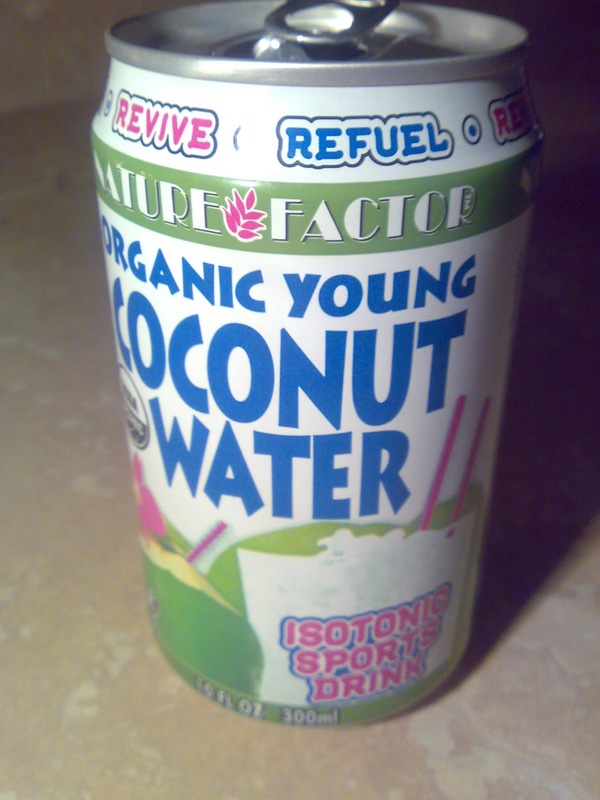 And so is Nature Factor Organic Coconut Water, if you don't mind drinking living water from a soda can. 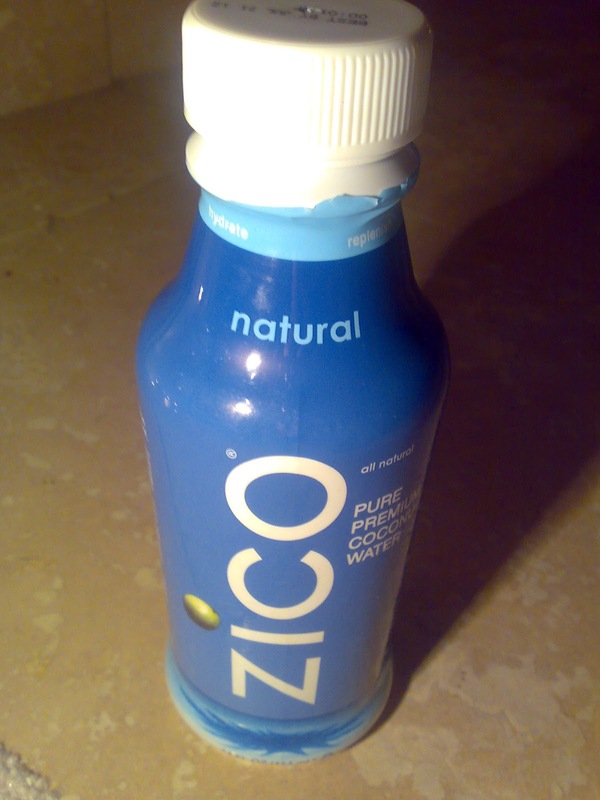 And last as well as least, with no health food store in sight, you may be able to snag this wanna-be from Zico. 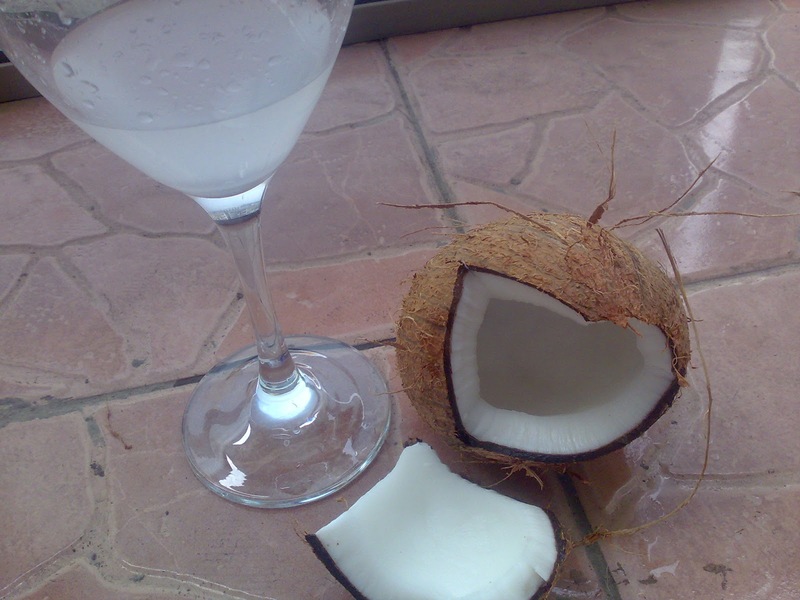 Touted as pure premium coconut water, it pales in comparison to the other bottled versions and sinks low when placed in the same category as it's distant source, the fresh coconut. But, if you're obsessed with coconut water, like me, it will do. 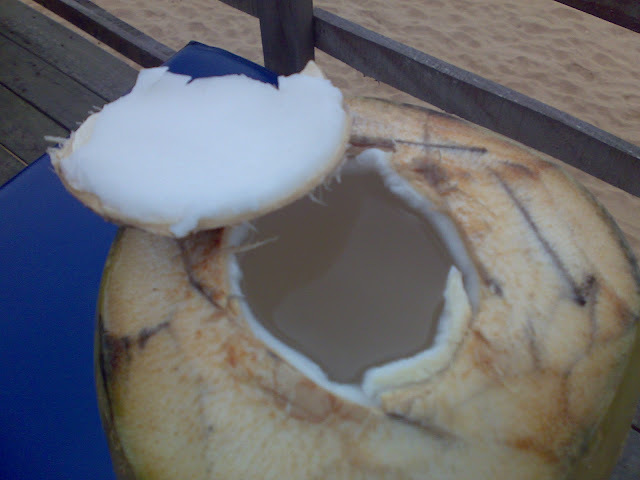 Coconut Water! For all its naturally occurring nutrients - more potassium than a whole banana, along with magnesium, calcium, phosphorus, thiamine and manganese, all the essential electrolytes - this stuff should be gilded. With no fat, zero cholesterol and sweetened by nature, as well as gluten free, you can't beat this treasure. Narrowing it down this far, doesn't limit us however, as the cusine from one country to the next is as varied as taking a foodie journey from Italy to Spain. 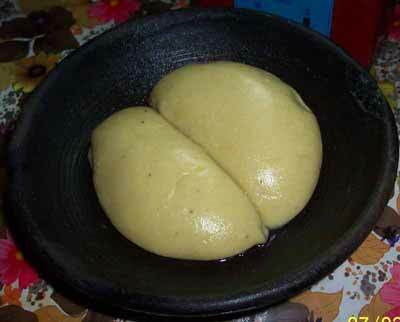 Let us start with starch, the ubiquitous edible serving spoon found across many of the African nations bordering the Atlantic, also known as fufu. "Fufu is a thick paste usually made by boiling starchy root vegetables in water and pounding with a mortar and pestle until the desired consistency is reached." (Wiki) Everyone has a favorite starch and mine happens to be pounded yam. 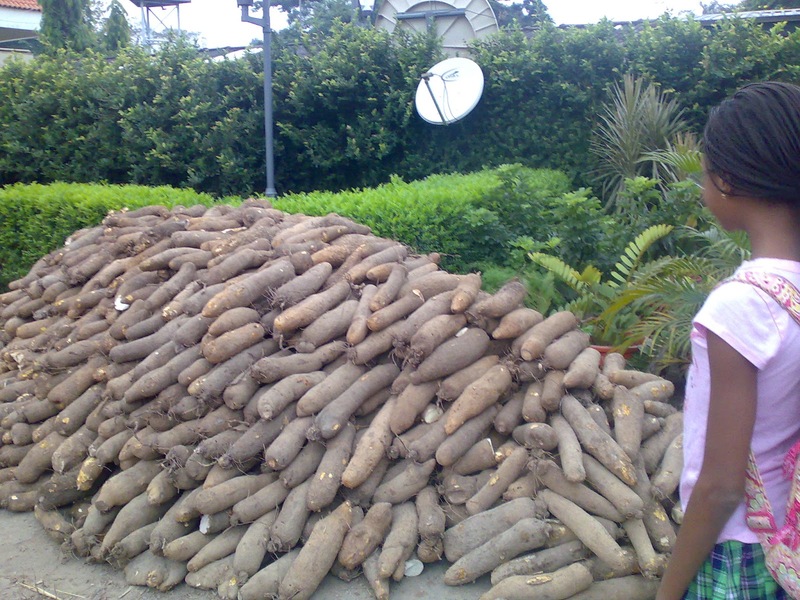 The importance of yam in Nigerian culture can not be underestimated. 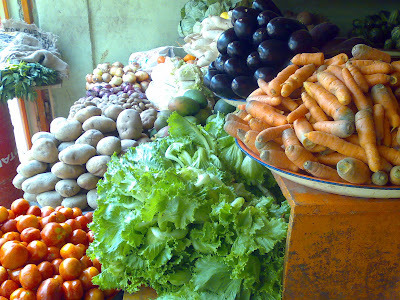 Hence this photo, which reflects the role that yams play in the local cuisine. 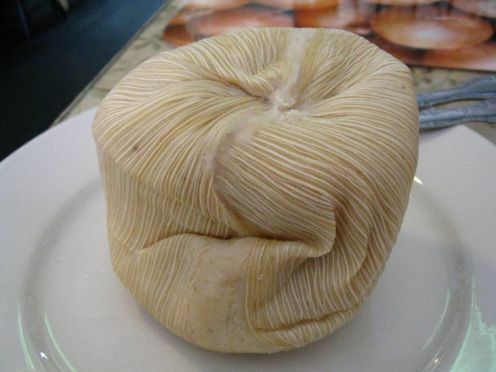 In most local and regional dishes, a starch is used to sop up the tantalizing drippings of the main meal. A meal is not complete without some type of starch to compliment the sauces and stews. 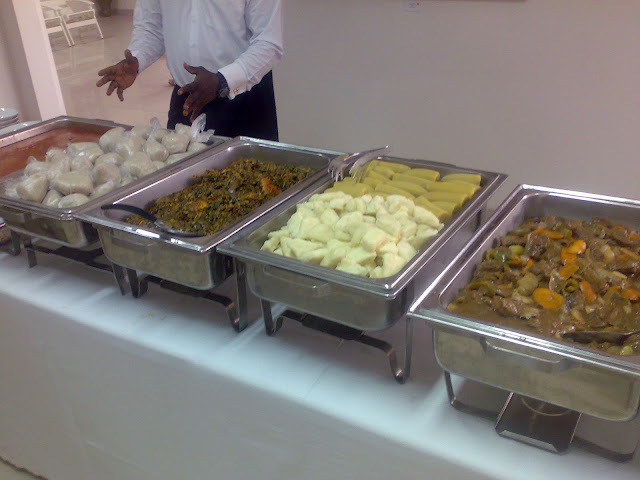 Ghanaians are partial to kenkey and banku. 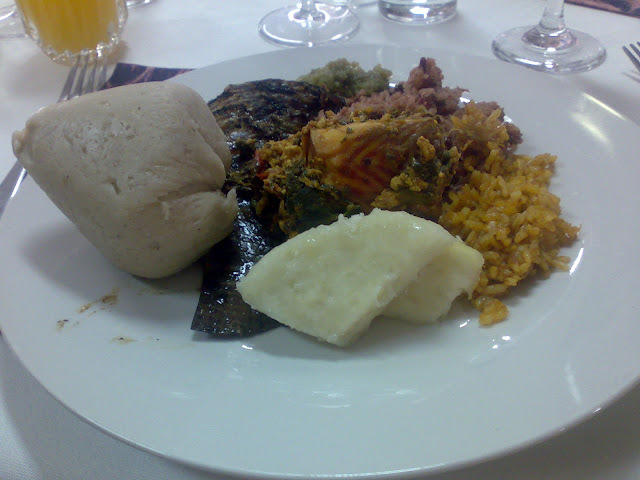 Kenkey is made with fermented corn flour mixed with water; often steamed in banana leaf or corn husks like Mexican tamales! 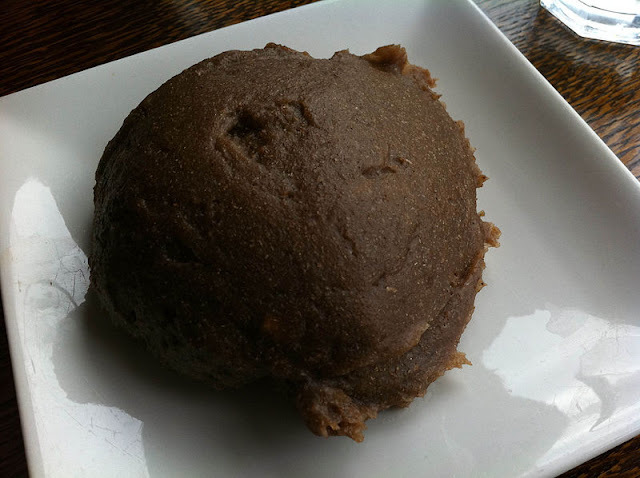 Banku, however is made with a mixture of fermented cassava and plantain dough mashed into a sticky ball. 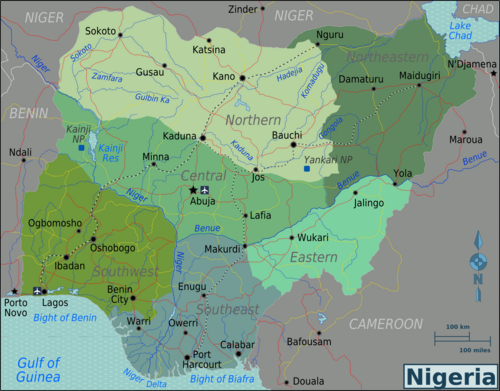 Northern Nigerians go for ground rice and the Southerners tend to prefer Eba. 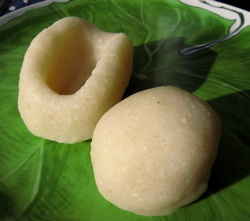 A tangy fermented treat, Eba is made from gari meal or ground Cassava. 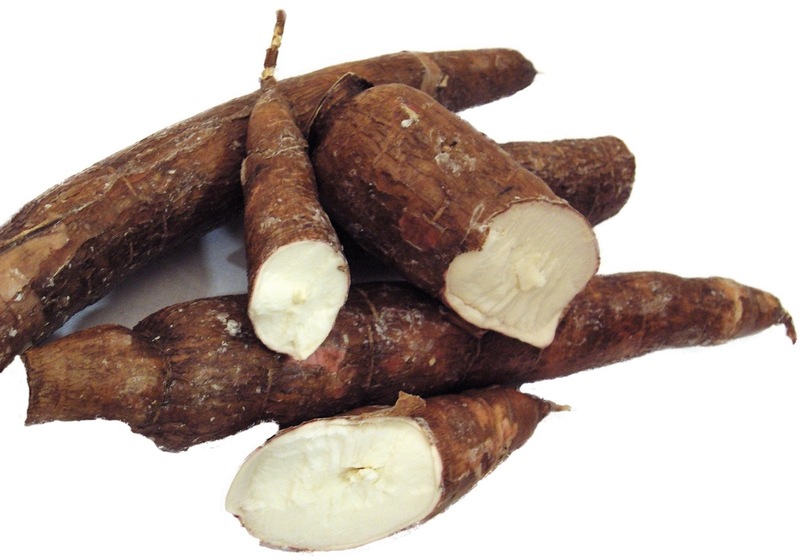 This starchy tuber is, as you can see, related to the aformentioned yam. 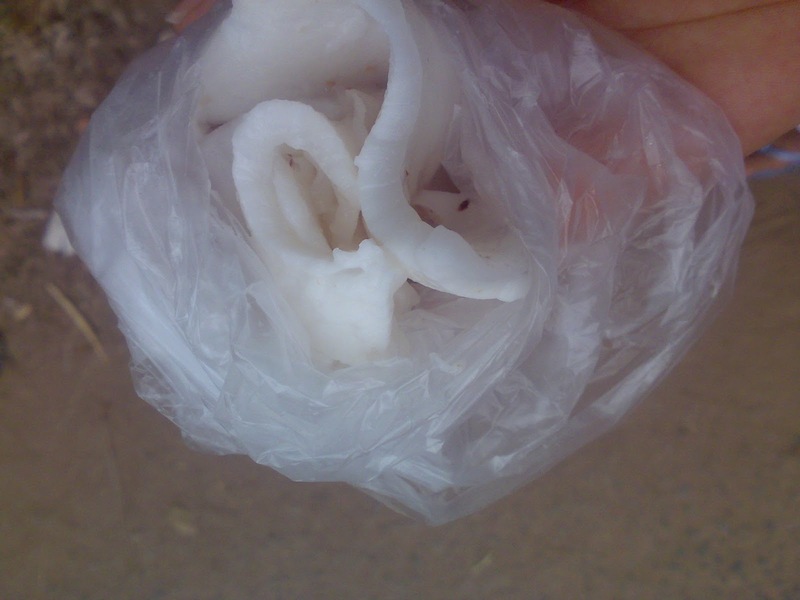 Semovita is another specialty that abounds on West African plates. This more recent addition to the starch repertoire is made from wheat, and so it's not technically warranted a mention here. 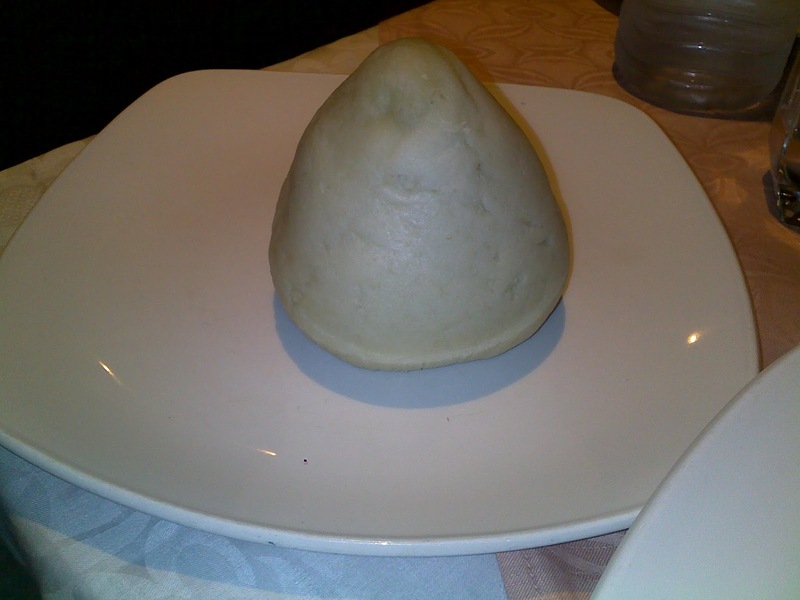 An age-old Yoruba specialty, however, is the distinctive Amala. Amala is made from the flour of peeled and sun-dried yams ground and mixed with water. 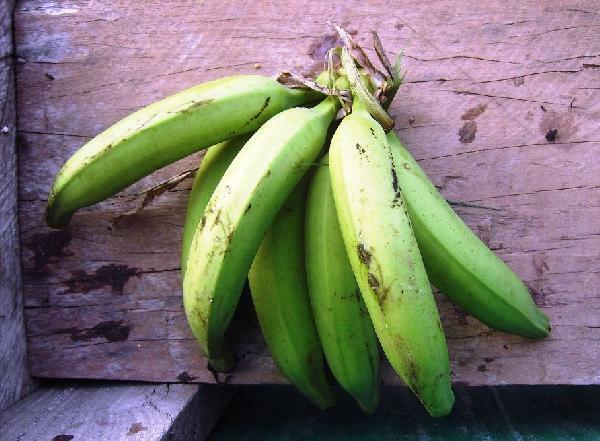 But the one starchy accompaniment loved by everyone is not a starch at all, it's plantain, a fruit! fried, boiled or grilled like this Boli. 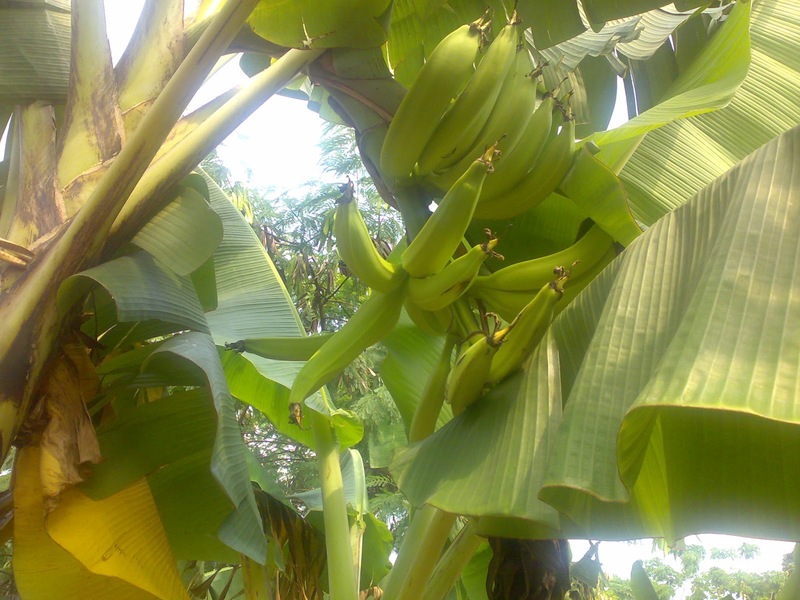 Thank goodness for the plantain tree which grows wild and abundantly all over the region, ready to satisfy the palates of all who are willing to taste Africa.